A family rents a cheap house for the summer, but the low price came only at the condition that they take care of the old lady who lives locked in her room upstairs. 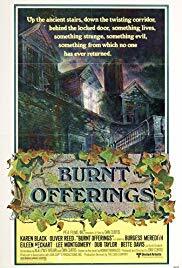 Burnt Offering is a psychological horror classic from the 70’s in the vein of Don’t Look Now or Rosemary Baby. As in these movies, the scary aspect of this film is not in the action or the spooky scenes, but in the psychological tension that is built, very slowly, as the story goes on. The story is centered on a house that appears to be alive, and on an old lady that supposedly lives upstairs but that you never get to see. Clashing with other haunted house movies that rely of demonstrative paranormal events to scare the audience, the nightmare is here very subtle and happen gradually. Everything always happen for a reason – so keep your eyes opens for every details. Haunted house movies are always quite predictable, but not this one. The story is a classic, but the story is so well-written that it remains misleading all along. Burnt Offering’s unpredictability will make you wonder, many times, what the hell will really happen to these poor people. In many ways, the movie is like a much more intellectual version of The Amytiville Horror. Finally, the presence of Karen Black, wonderful here, brings the final touch to this masterpiece. 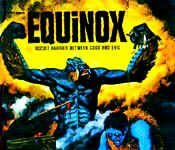 A little lengthy at times, and so the rating, but a huge piece of horror cinema nevertheless.